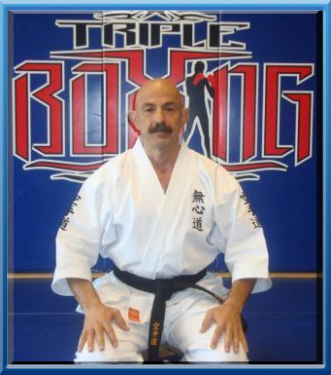 Dr. Parviz Nikkhoo (BSc, MSc, PhD) is the founder and head instructor of Triple Boxing and CrossFit Yin Yang. 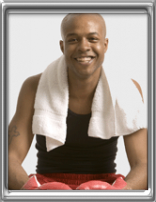 Master Nikkhoo is a world renowned martial artists, boxing coach, and strength and conditioning coach. He works in a full time professional basis as a level one certified CrossFit coach at CrossFit Yin Yang and Triple Boxing gym. Master Nikkhoo is an eighth-degree black belt with approximately fifty years of experience in several styles of martial arts as well as having approximately thirty years of combined fitness experience in weightlifting, powerlifting, strength training, and conditioning. He has a combined amateur record of 363-16-3 in boxing and Muay Thai. His clients range from professional K-1 kickboxing and Olympic athletes, celebrities, members of military police force, Special Forces, and Navy Seals to complete beginners who wish to attain their highest goals and reach their personal best in their respected art. In the past Master Nikkhoo has served as the US national coach for K-1. He is a life-time member of WHO-IS-WHO and potential inductee to Martial Arts Masers Hall of Fame. Billy Parrish is a level one certified CrossFit coach with fifteen years of weightlifting, powerlifting, strength training, and conditioning experience. 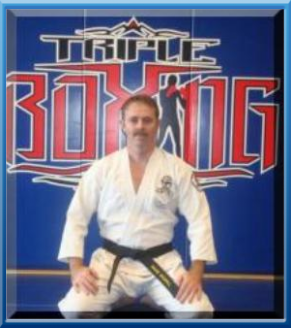 He is also a third degree black belt with twenty years of experience in several styles of martial arts. He began his career at the age of six in Karate, where he frequently competed in Karate tournaments for six years. Later, he met Master Parviz Nikkhoo at the age of twelve-years-old and since then he has attained a number of achievements, including setting U.S.A. national powerlifting record at the age of nineteen, two sportsmanship awards from the Georgia Games, and Georgia Amateur boxing champion. David Nicholl is a fourth degree black belt with over thirty years of martial arts experience starting at the age of nine-years-old. His experience extends into a variety of styles, including Judo, Kung Fu, Taekwondo, Muay Thai, Brazilian Jujitsu, and a traditional form of Karate known as GoJu. He received his first black belt in GoJu under Shihan Peter Passis, who trained under Grandmaster Gogen Yamaguchi. David represented his state in many national competitions in South Africa. After his military service he immigrated to the United States and attended college, where he opened a GoJu Karate club at DeVry University in New Jersey. Later, he moved to Georgia and studied WTF Taekwondo and Hapkido under Mike Register of Cobb County SWAT. David has been training in ITF Taekwondo, Muay Thai, and Kickboxing for the last fiften years under Master Parviz Nikkhoo.